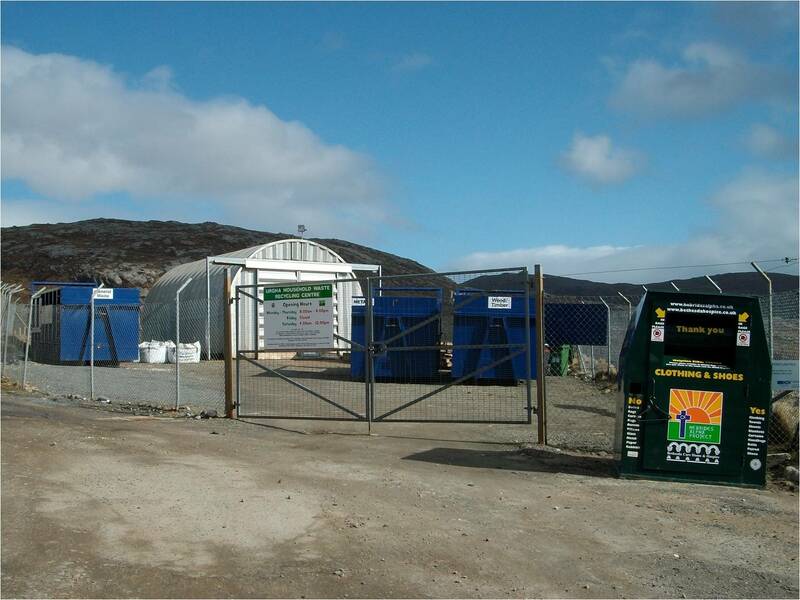 The Recycling initiative started with the creation of a Community Recycling Centre at Urgha on the road out towards Scalpay. 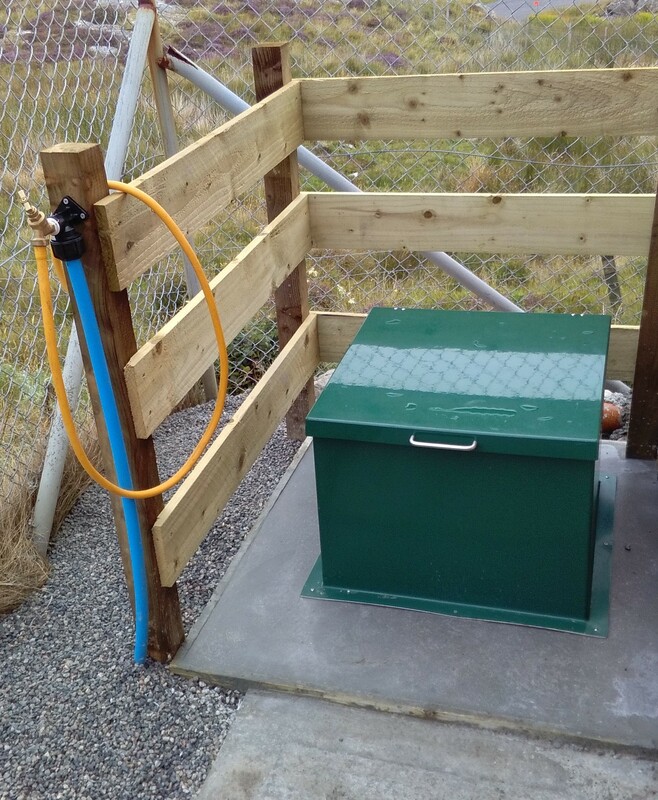 The centre has been developed in partnership with Comhairle nan Eilean Siar and perhaps can best be described as a satellite of the main Creed Integrated Waste Management Centre outside Stornoway. We accept all “domestic” waste which means that waste arising from commercial activity i.e trade-waste like windows, bathrooms and kitchens is rejected. The centre opened for business on Monday 8th June 2009 and has seen the number of visits gradually pick up. We finally bit the bullet and had mains electricity connected, just before the clocks changed in October 2009. This gave us light to maintain our opening hours during the short winter days. In Autumn 2011, we invested in a portacabin for the site. We now have somewhere warm and light for the short winter days. 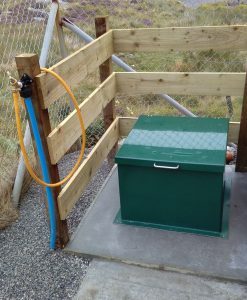 In Autumn 2012 we purchased a portaloo and connected it up to water and a new sewage tank. We now have four permanent skips on site. These vary by season but typically include GREEN, METAL, ELECTRICAL and GENERAL waste. In addition we are diverting lounge furniture, paint and oil from landfill. In 2015 we segregated 48 skips or 101 tons of recyclable waste, leaving 65 or 153t to continue to landfill. There are also bottle and co-mingled (plastic & paper) bins located outside the gates. 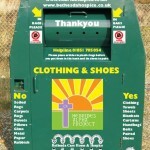 This gives 7 day access for deposits of bottles, cans, plastics, card and newspaper. A clothing and textile bank is also in place. 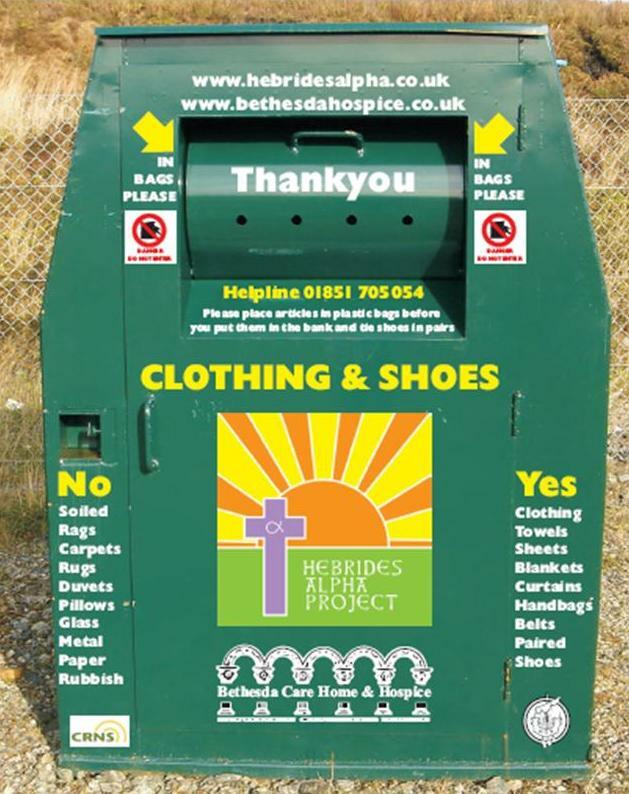 This is provided as part of a project run by the Bethesda Hospice. The bank takes all sorts of textiles -not just clothing. Curtains, shoes, tablecloths and bedding are all acceptable -but please ensure items are bagged. Despite the designer’s best efforts, the textile banks are not 100% Harris-rain-proof ! We also receive waste vegetable oil from local hotels and restaurants over the summer months. We converted our first batch of oil to Biodiesel in November 2009 and have been running the Trust vehicle successfully on it ever since. The Urgha site has hosted a number of Community Jobs Scotland placements since it opened. The scheme takes young people leaving school with no job to go to, or young unemployed people and places them in the workplace. On 6 month placements, the young people learn about the domestic waste process and gain experience dealing with the public. In 2017, due to pressing demand, we installed a Chemical Disposal Point for campervans. 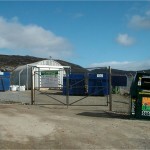 The dump point was prompted by the increasing number of campervans arriving each summer and the closure of the only public dump point in Leverburgh. With some financial assistance from CnES, the CDP has been installed at the rear of the site. It is accessible during normal opening hours, but is secured when the site is closed to prevent misuse. Please note that opening will vary over the Christmas period.